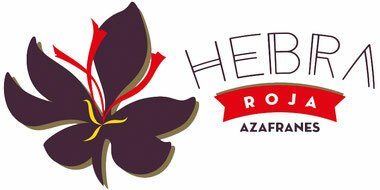 “Hebra Roja” Azafranes belongs to a rural family from a village in Castilla-La Mancha, Balazote in the province of Albacete. 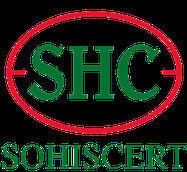 Located in a geographical area protected and rated as the best and largest production area of saffron in the world. We geographically meet with the end of the Manchego plateau along with the beginning of Sierra de Alcaraz’s foothill, and these peculiarities make from "Hebra Roja" synonymous of producing the best saffron, making it a unique product. 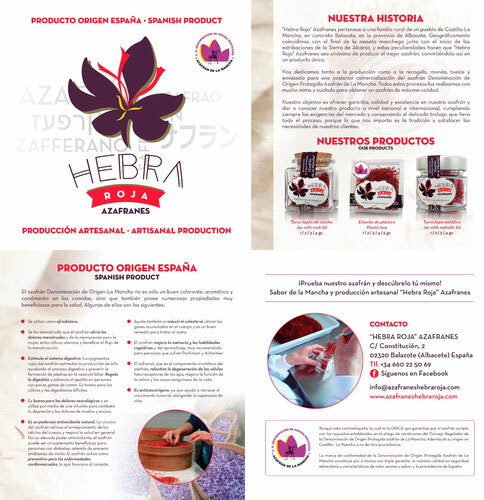 We produce, collect, peel, roast, package and finally commercialize our “Azafran de La Mancha” Protected Certificate of Origin Saffron. We perform all these processes with much love and care to obtain high quality saffron. Our everyday experience and knowledge inherited from our ancestors allow us to reach our goals year after year. We aim to provide guaranty, quality and excellence in our saffron and publicize our product nationally and internationally, always meeting market requirements and preserving the delicate work that takes the whole process, because what matters to us is the tradition and meet our customer’s needs. La Mancha Taste and artisanal production "Hebra Roja" Azafranes!